Using named day delivery: Order this product within 4 hrs and 40 mins for guaranteed Saturday delivery. 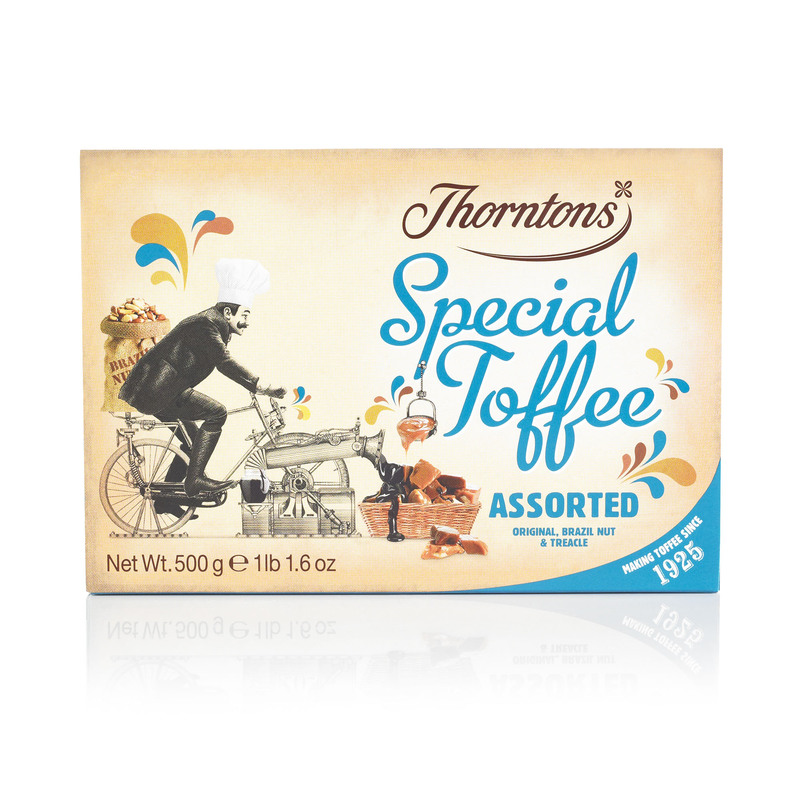 Need a gift for a fanatical toffee lover? 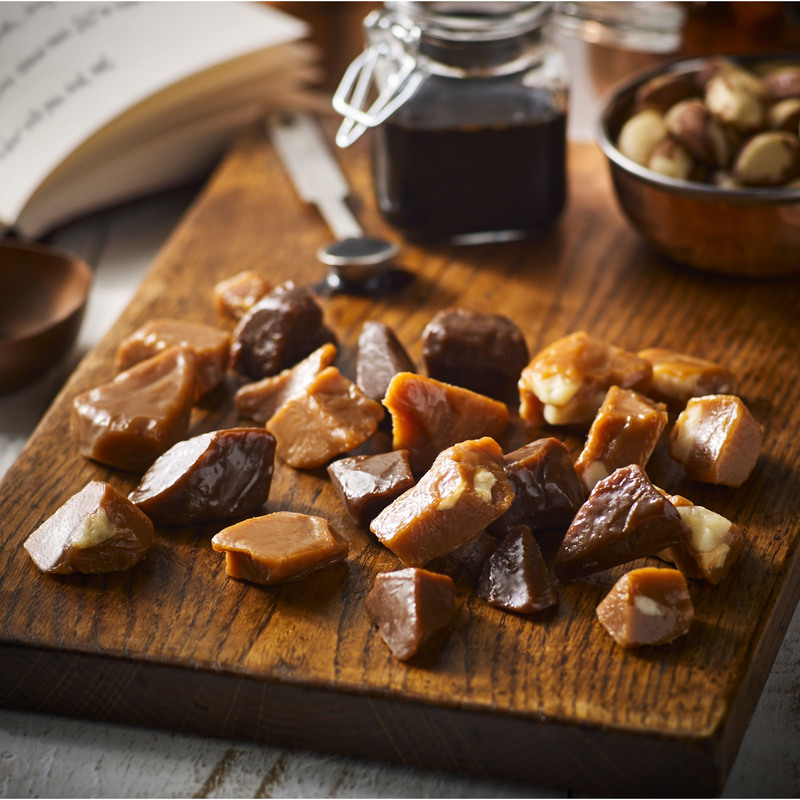 Our Assorted Toffee selection has the chew they love, and the choice they crave. 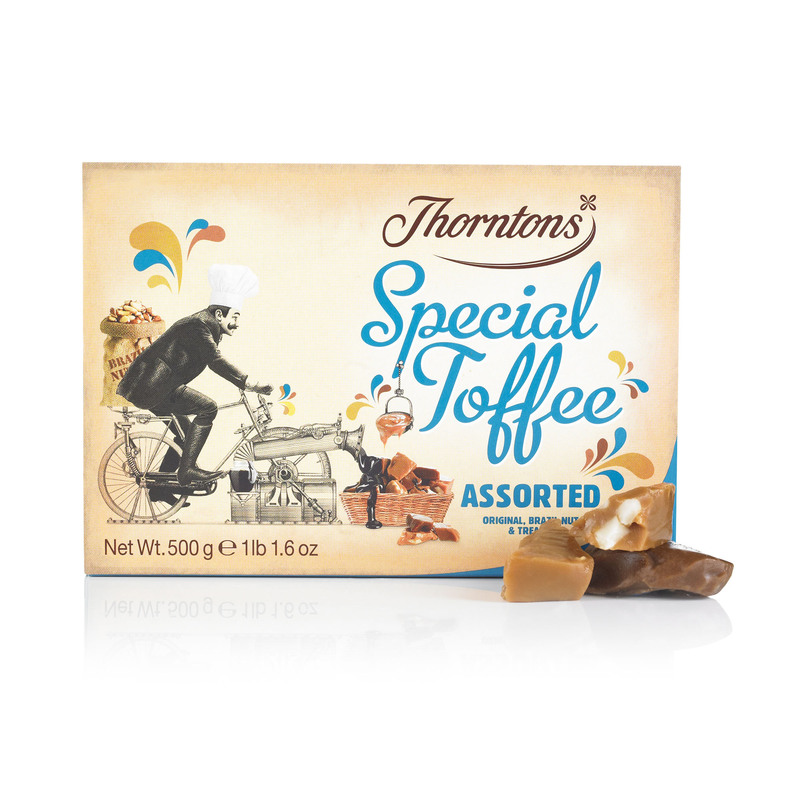 A medley of our Original Special Toffee, Brazil Nut Toffee and Treacle Special Toffee, they'll love finding their new favourite flavour. Sugar, Sweetened Condensed Milk (Whole Milk, Sugar), Glucose Syrup, Palm Oil, Butter (Milk), Margarine (Palm Oil, Rapeseed Oil, Water, Flavouring, Vitamin A, Vitamin D), Treacle, Invert Sugar Syrup, Brazil Nuts, Salt, Flavouring.